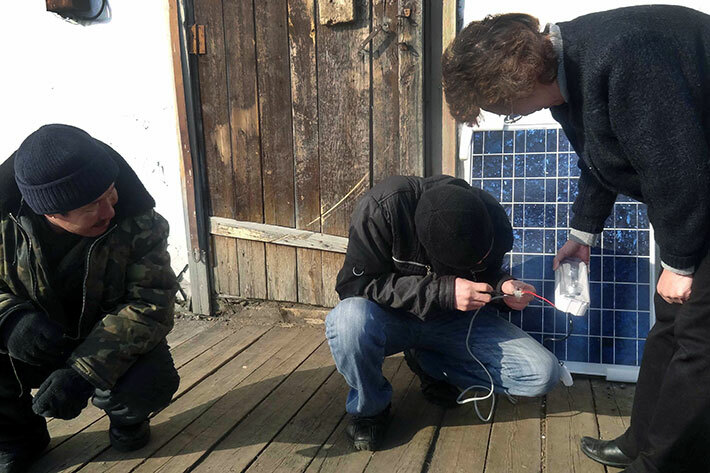 Community members working with the panels, 2012. Photo: Snowchange, 2014. 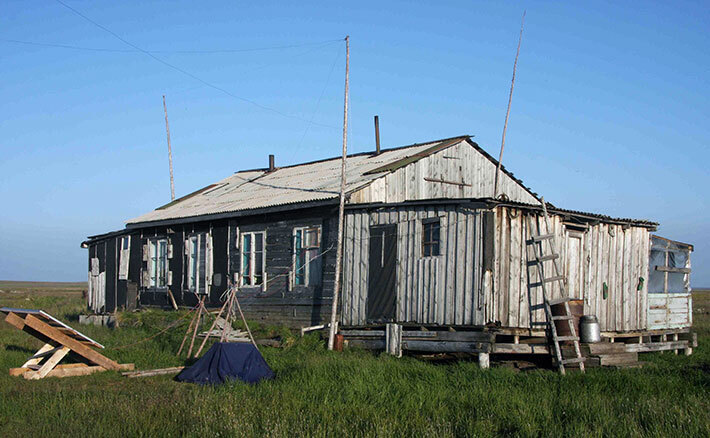 Since 2008 the Indigenous Chukchi Turvaurgin Community has worked with Snowchange Cooperative and Northern Forum Academy to solar-electrify nomadic reindeer camps of the Khalarcha Tundra. This work has been done under the auspices of the Barefoot College led by Mr. Bunker Roy based in Tilonia, India. In 2009 a specialist from Turvaurgin, Mrs. Maria Krivoshapkina was trained as a qualified solar panel engineer in India. In 2010-2011 the project partners worked to deliver the first solar panels to the pilot brigades to tundra. The panels arrived in 2012. In 2018 a large regional Workshop with Barefoot College, Snowchange and the nomadic communities was held in Yakutsk. This concluded the first decade of the solar panel work and now the nomadic communities are assessing the training of more solar experts and expanding the work next decade. The Workshop was supported by Hogan-Lovells, Barefoot and Snowchange. 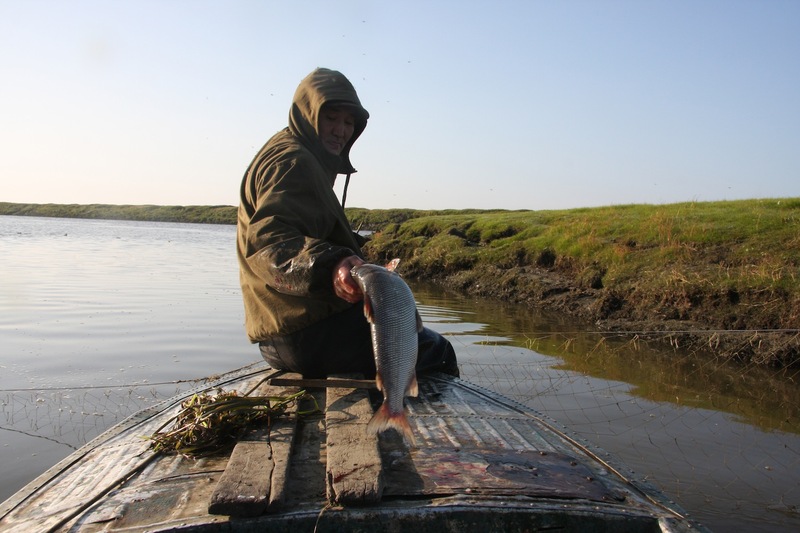 Panels installed at the fish base of Chaigurginoo, Kolyma, summer 2012. Photo: Snowchange, 2014. The Snowchange Cooperative funded and continues to finance the pilot phase of the project and the Arkleton Trust based in the UK is monitoring the project. The monitoring effort is led by Mr. Chris Madine from Newcastle, the UK. The Arkleton Trust provided the initial contacts and facilitated the project start. Through the work of Mr. Madine, the Trust continues their monitoring efforts on this initiative. Currently the review of the panels has concluded and domestic options on expanding the programme are being considered.